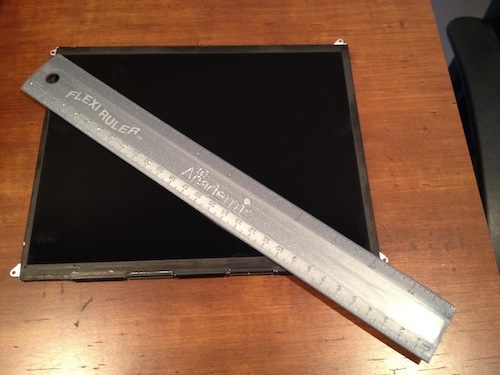 While there have been several rumors and reports that have pointed towards a high-resolution “retina” display for the iPad 3, these leaks have been unconfirmed until now. 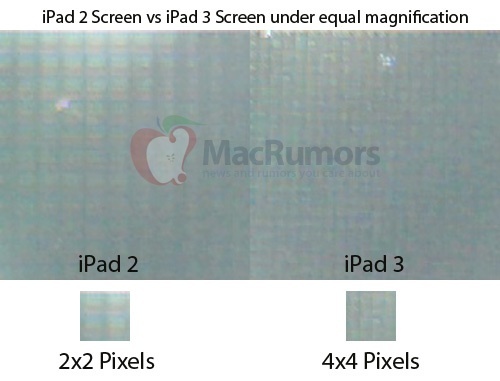 MacRumors have managed to get their hands on an iPad 3 display panel which revealed a 9.7 inch screen (same as iPad 1 and iPad 2) but with double the pixel density of the older models. To the naked eye, the display looks much the same, but under a microscope the increase in resolution is clearly visible. While the resolution of the iPad 1 and 2 was 1024 x 768, this latest report would reasonably suggest that the iPad 3 will sport a resolution of 2048 x 1536 – twice that of the 1st and 2nd generation iPad. Apple are widely expected to reveal the iPad 3 at an event on March 7th.